Block 61 of "Wait Beach's Addition to the Village of Flint" circa 1835. 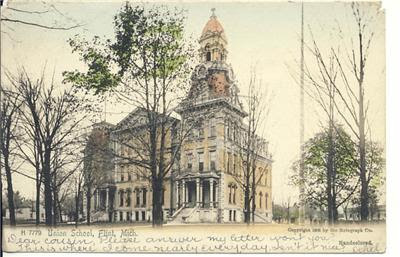 2nd Street to 3rd, Beach Street to Church. And a Merry Christmas to all who post and lurk herein. 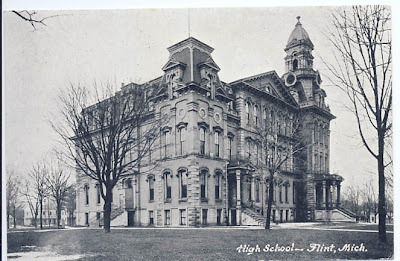 That was the original Flint High School which was replaced in 1922 by the new Flint (renamed Central shortly afterwards) High School.